Imagine walking in to a capsule where your daily life fades away behind you and you’re part of an exclusive audience that’s more than just a magic show. Imagine that you could be transported into a world where every boundary you’ve ever put up in your mind could be broken? 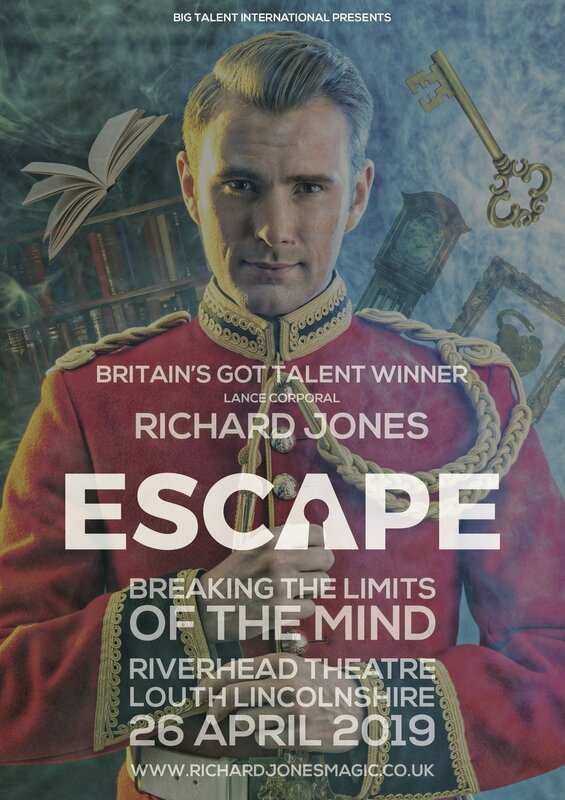 Richard Jones was the winner of Britain’s Got Talent 2016 and is a British Army soldier as well as one of the world’s greatest magicians. With his captivating performances, Richard has travelled every continent with his first-class show. With news of his next tour, Escape being announced, Richard has something very different in store for fans – this time, he’s attempting ‘meaningful magic’, that’s not just your normal set of tricks, but a programme by which to live your life. With his classic mind-blowing tricks from Britain’s Got Talent also part of the show, Richard continues to combine his experiences and training from the Army with his love for magic and illusion to create something unique and unmissable. “Absolutely Mind Boggling!” - Prince Charles.